- grunge beanbag, 3 prims, 10 animated poses and lots and lots of texture combinations through a menu (choose from 25 textures)! - 1 grunge table, 3 prims, texture change menu. Grab it while it s hot!!! Khargo: Grunge is taking part in 2 hunts this month. 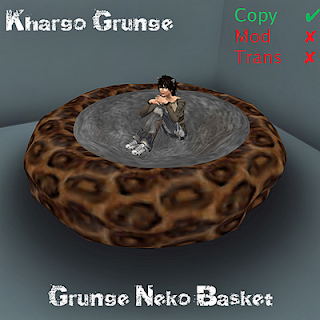 The Dark Katz Hunt is from 5th May to 6th June and our prize is this cute Neko Basket with animated poses. 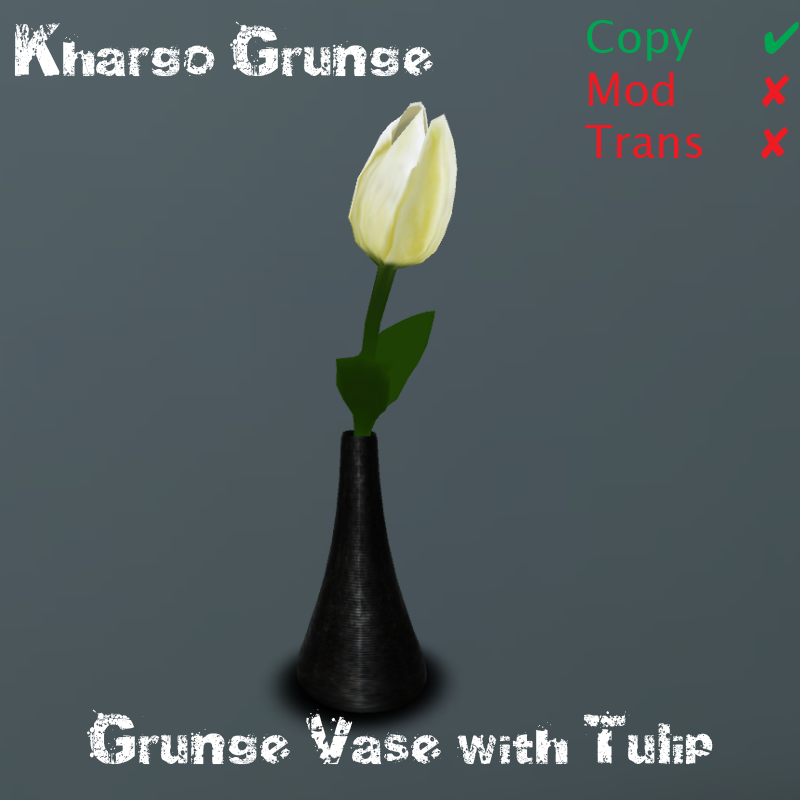 The Fallen Angel Hunt is from the 15th May to June 30th and our prize is this delicate Tulip in a Vase.